The Hague is the administrative capital of the Netherlands. Called "Den Haag" in the Dutch language, this picturesque city is located near the North Sea. The nearby community of Scheveningen is a popular beach district in the city. It attracts tourists from all around the world. There are many good hotels and tourist attractions in the downtown area, at Scheveningen and near the airports. 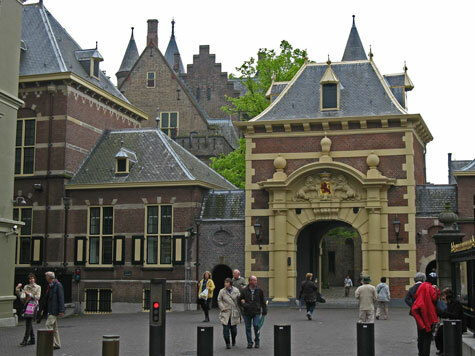 The Hague can be easily reached by train from the Amsterdam Schiphol Airport. The nearby Rotterdam Airport also provides an important gateway to the Dutch adminstrative capital. There are two main train stations in Den Haag: Den Haag Centraal and Den Haag Hollands Spoor. Public transit is efficient and inexpensive.